Cockeyed Caravan: The New Checklist is Up! The New Checklist is Up! Lots of questions that weren’t providing interesting answers are gone. Your suggestions were very helpful (even the ones I ultimately didn’t take.) Other questions are brand-new. Some of those that have nothing to link to will turn blue over the course of the next two weeks as I put up new posts that address those concepts. The sub-divisions: I’ve run these by you guys before, and I like how they’ve turned out. Some have been rephrased since I first proposed them. The number of questions was floating around 143 for a while, and then it hit me that I should really aim for 140 questions exactly, because 7 skills (common number of skills) x 20 questions (common number of questions) = 140 questions. Of course, some have more than 20 questions, and some have less, but the overall math now seems simple and memorable… and the whole idea of “20 questions” is that 20 is the ideal number of questions to figure something out. I like that I finally have an overall number that makes sense, and I’ll try to hold it there from now on. Checkboxes rather than an actual checklist: Based on some of your comments and emails, I’m trying to make it less intimidating. In the book, I went through and rewrote all the “how to” sections to make it clear that, rather than laying down step-by-step instructions, I was listing 20 or so recommendations for each skill. 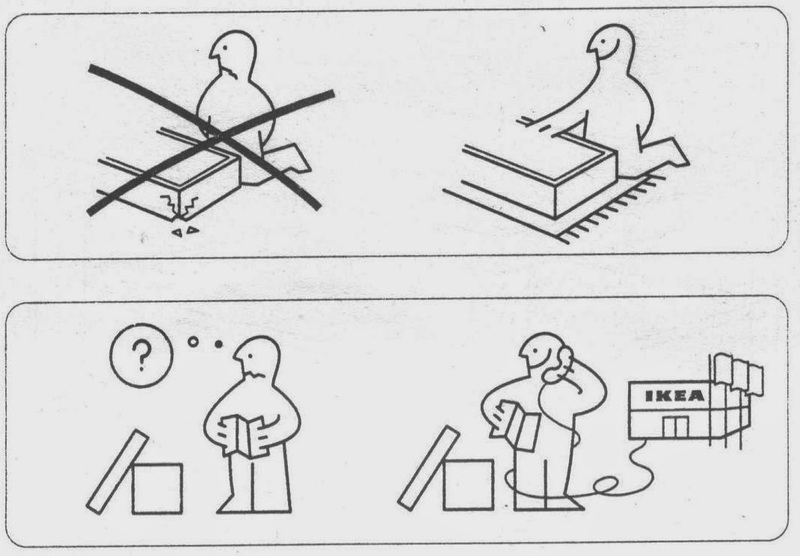 “How to” carries the wrong implication: When you have IKEA instructions, and you skip step 3, then there’s no point in going on to step 7, because it’s already ruined. Instead, if I put it in checkbox form, then that’s entirely different: When you fill out “How many of these great books have you read?” everybody understands that nobody will check all of them. You’re just proud to say that you checked as many as possible, and you’re happy to get 75% or so. I haven’t programmed the list to actually tabulate your score as you work your way down the checkboxes, but I may try. In the meantime, I’ve got actual checkboxes that you can check or uncheck if that helps you with counting. And to be generous, I’ve pre-checked them all, so you just have to uncheck those that are giving you trouble. My overwhelming impression of the checklist each time I go through a new or old version is of its exhaustive thoroughness. It matters less to me precisely how all of the information is organized or phrased than that it's all there so painstakingly and systematically laid down. Since many of the ideas overlap naturally in the wild, corralling them into some kind of order will always be more of a an art than a science and I'm sure that's a part of what makes it such an on-going challenge. "Is the audience left with a growing hope and/or fear for what might happen next? (Not just in the next scene, but generally)"
"What is happening NOW is apt to be less dramatically interesting than what may or may not HAPPEN NEXT." "Do the characters interrupt each other more often than not?" Following this too closely might only serve fast-talking Mamet-esque story worlds. "Is the nature of the stakes (lethal or social?) established early and maintained throughout?" A great example of this is a stand alone scene where another character who we think might be the hero dies suddenly at the beginning, like the openings of SCREAM or THE HURT LOCKER. "Are set-up and pay-off used to dazzle the audience (and maybe distract attention from plot contrivances)?" I'd like to see a specific example of "distract attention from plot contrivances." Good questions and comments, J.S. They'll hopefully be addressed as I fill in the gaps over the next two weeks. I have been enjoying your posts and exhaustive advice for some time now. Your checklist has really helped me in tidying up my first novel for publication and getting going in laying out my second. If I can make a single quibble: the font color for the main body of the checklistIis nearly Iillegible on a mobile device. It shows up as a light grey that blends right in with the white background. Any chance you could darken it a bit?